Now for the wings. This is how I did them, but there are probably better and simpler ways to achieve the same results. I just couldn’t figure them out. I started by drawing one wing on a piece of paper, and then traced the drawing onto clay by simply pressing the pencil hard on the paper. 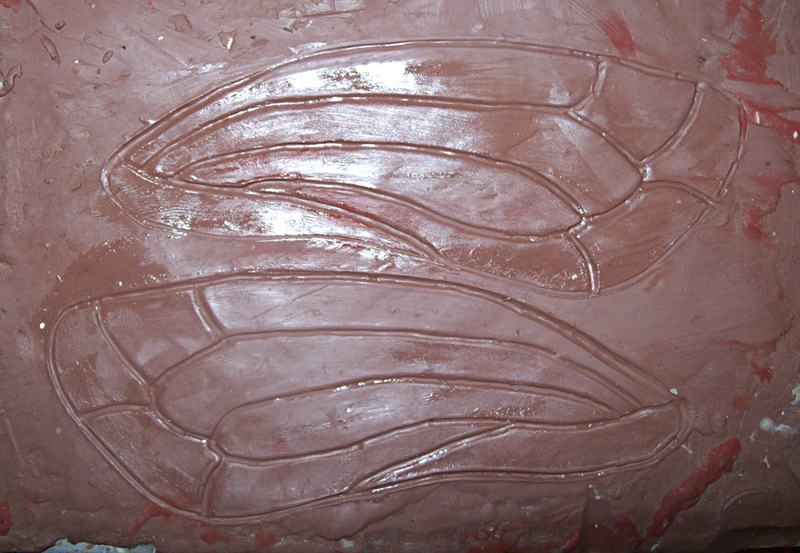 I then turned the drawing over and did another inprint in the clay to make a mirror version of the wing. This is how the tracings looked after a bit of clean-up.